I was only called once from Brussels, not from The Hague, and they asked me if I wanted to testify about what I saw in Kosovo. When I told the clerk that I was entirely at their disposal and that I could testify about KLA crimes against the Serbs, no one contacted me later. It was over. And I had a lot to say. 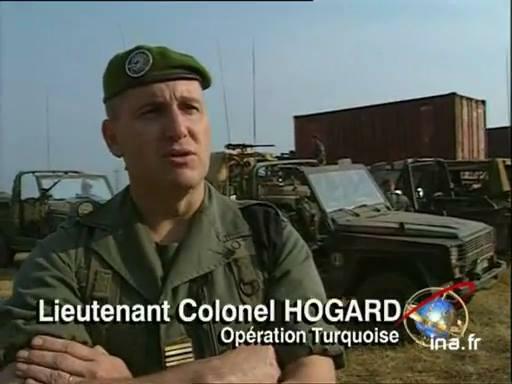 This is what Jacques Hogard said exclusively for “Novosti”, the head of the French special forces who was the first to arrive in Kosovo and Metohija during the transition period that lasted between the signing of the Kumanovo agreement up to the arrival of the international peacekeeping forces in 1999. * Last year, towards the end, was marked by the controversial Tribunal in The Hague being resumed. – Yes, it was closed, but at the same time the work was taken over by the Mechanism of the Criminal Courts. In the word “mechanism”, there is a cold meaning that suggests that something is applied without mercy. A precise and technical term is used to show that something works like a machine. I would say a grinding machine. A terrible name for a court. The court therefore closes its doors, but continues to operate. * How do you think this court will be remembered by history? – For 25 years, this court has been ruling as a biased and an anti-Serbian court, a court that wanted above all to judge the Serbs and the Serbian people through the tragedy of the break-up of Yugoslavia. In order to hide the reality, it condemned some Croats, Bosniaks or Albanians. Slobodan Milosevic was finally acquitted of all charges by other trials, but the Western public remembers only that he was in The Hague, as if he had been sentenced. In the last verdict Croatia was sentenced, but for crimes against Muslims. It’s the same thing. When Croats kill Muslims, they are bad, but when they kill Serbs, they are not, so they become less bad. And nobody was held responsible for what the Muslims or Albanians did to the Serbs. This is the malignancy of this court. * Do you regret something you could have done differently during the short time, when you were in the field, until the arrival of the peacekeeping forces? – In Kosovo, I did what I could. Later, you can always regret not doing something better or less worse. But my conscience is clear. – The whole world has unfairly turned against you. And we, the French, have forgotten our alliance and our traditional friendship with the Serbian people. We blindly followed the Germans and the Americans, who had every interest in breaking Serbia, as they had done it before with Yugoslavia. Behind that, there is a plan to weaken Europe. The great American power needs a formally united, but unofficially weakened Europe. The best way to do that is to divide countries and encourage regionalism. This is also the case concerning the attempts in Catalonia. Look what’s going on here in Corsica. All this belongs to the same logic, except that France and Spain are bigger and stronger, so more resilient. However, you must always pay attention. The same is happening in the Middle East. But Russia is here now, it has returned to the international scene. If Russia had been so strong at the time of the events in Kosovo, that would not have happened. * How to solve the problem of Kosovo, with pragmatism? – International law should be at the center of all debates. The current situation is inflicted and should not be accepted. The UN Resolution 1244 remains in effect. Its purpose was to create a period of international administration in order to calm the situation. But the opposite is now true. There have been pogroms, settlings of accounts, people disappearing, murders, organ trafficking … The international community should not tolerate that. This is not a Serbian-Albanian problem. This is a problem of the entire international community, which has created problems in Kosovo instead of bringing peace. It is now up to the international community to put things back to the point of finding an honest solution, Hashim Thaçi and Ramush Haradinaj should be brought to the court for the crimes they have committed. The logic of international justice must go all the way. * You have publicly testified about what really happened in Kosovo. – It’s a human and a personal commitment. Whenever I can do something, I do it. When the so-called Kosovo tried to integrate UNESCO, at my humble level, I did what I could, I published a newspaper article, I talked with friends … I am a witness and I will always say what I saw. 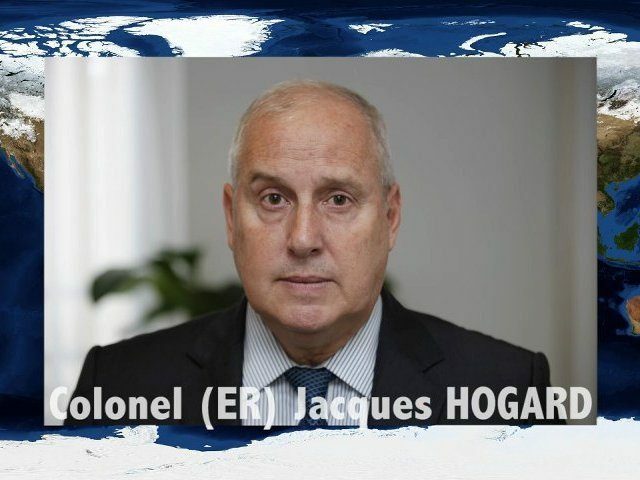 * How do you explain the fact that many French soldiers who were on mission in the former Yugoslavia, bonded with Serbs? – We are two nations who are alike. We have natural affinities, which have nothing to do with official politics. We were friends for a long time, then communism arrived. France had allied with the United States and NATO, and that is something I deeply regret because we have lost the freedom of evaluation and action. But, above that, the Serbs and the French have a common background. Both are peasants and soldiers, who have always fought against foreign invaders, a spiritual people, whose identity is based on faith, full of character, a people who say what they think, whatever the consequences.